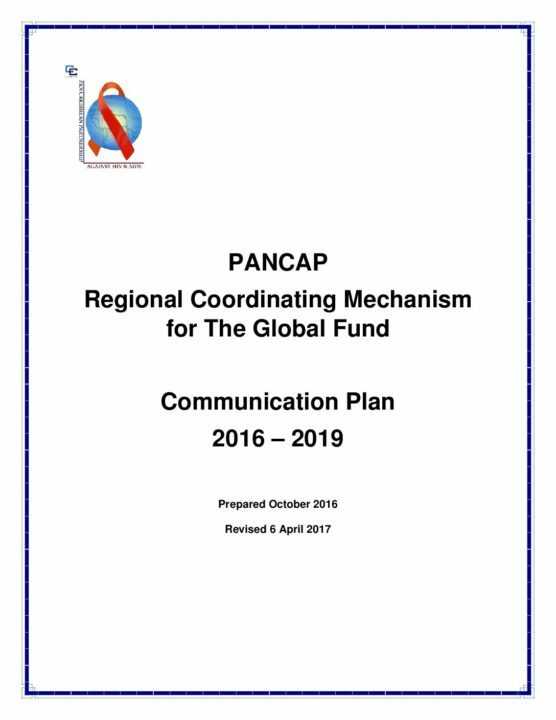 The Global Fund to Fight AIDS, Tuberculosis and Malaria (The Global Fund) has an established partnership with PANCAP Regional Coordinating Mechanism (PRCM). The PRCM is a regional multisectoral body with a mandate to provide oversight to the PANCAP Global Fund. The Global Fund allocates funding to the PANCAP Regional Coordinating Mechanism (PRCM) to enable utilization for priorities consistent to that of the fund. This process is facilitated through a structured communication channel that is coordinated by the PRCM as a core function. The Global Fund encourages all Regional Coordinating Mechanisms (RCMs) to uphold the principle of sectoral representativeness. As such, RCMs should maintain a public record of all their decisions and actions and ensure that all stakeholders’ views, including non-RCM members, are solicited and considered. Each PRCM member must therefore be provided with adequate information to allow him/her to communicate timely and effectively with their constituents and relevant audiences on matters related to the PRCM functions and the Global Fund grant. The Global Fund’s financing is performance-based, and continued funding is dependent on how successfully the grant is implemented and how well the Principal Recipient (PR) manages and accounts for the funds received. Accurate, timely and effective communication, including stakeholder feedback, among the PRCM, PR, Local Fund Agent (LFA), the Global Fund Secretariat and wider stakeholders is crucial for ensuring transparency and accountability in relation to the utilisation of the funds. Increase PRCM and the Global Fund grants visibility in the region.